The CVP-705 Yamaha Clavinova is an exceptional digital piano with a huge variety of modern capabilities and features and an impeccable grand piano sound. With a wealth of digital features and impeccable piano sounds, the Yamaha CVP-705 is truly a family musical entertainment center. The CVP-705 digital piano is beautiful and modern, with the touch and tone of an acoustic grand piano, but with a huge variety of sounds, features, and modes capable of making music fun for anyone regardless of skill level or experience. Session Mode – A virtual “jam session,” session mode brings three virtual musicians to play along with your song in any of 40 different musical styles. These “virtual musicians” will automatically follow your harmonies and volume expression, and can be activated or deactivated based on your musical needs. A Multitude of Voices, Styles, and Ensembles – Accompaniment Styles adds authentic, studio-quality backing players to your performances on the Yamaha CVP-705. It introduces your choice of virtual musician ensembles to your performance, from small jazz ensembles to full orchestras. Follow Lights Guide Feature – Learn to play songs by following the lights above the keyboard. The Clavinova CVP-705 has a full library of Follow Lights songs that light up the notes of the melody–and if you don’t play the right note, the song will wait until you do. Follow the lights one note at a time, and fully arranged orchestrations and arpeggios will embellish your playing. Karaoke Mode – Connect a microphone to your Yamaha CVP-705 and sing along with your keyboard performance or using Karaoke song files from yamahamusicsoft.com. Virtual Resonance Modeling (VRM) – In a grand piano, the sound resonates through the soundboard and cabinet providing rich reverberations that envelops the room in sound. 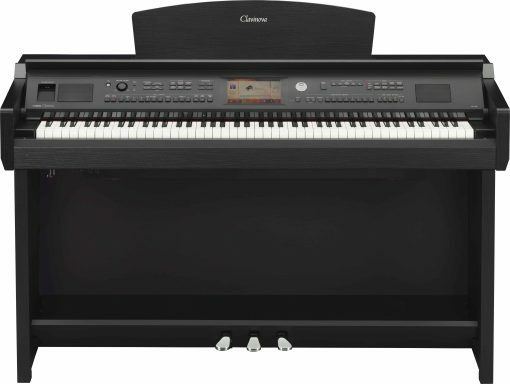 The Yamaha CVP-705 has Virtual Resonance Modeling that calculates the various states of the strings from each of the 88 notes on the keyboard from one instant to the next, and timing and depth of damper pedals pressed. The enhanced VRM now also calculates aliquot resonance in the upper octaves, and the full resonance of the soundboard, rim, and frame. 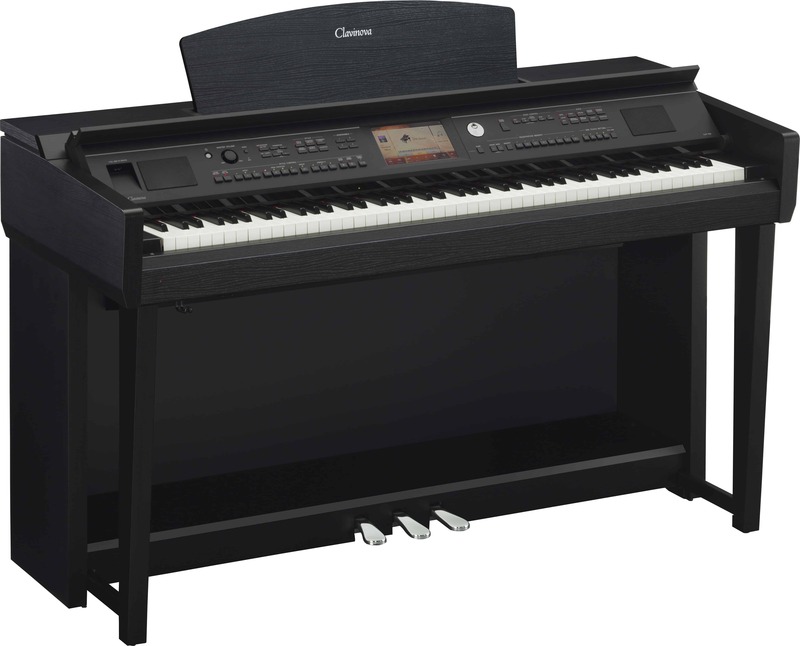 This technology allows the digital piano to provide a vivid, bright, and rich voice.